Despite a lot of advancement and progress, today’s best Security software and antivirus suites are not capable of detecting and removing malware beyond a certain limit. Howsoever smart and intelligent your security software is, you cannot be absolutely sure about your PC Security and Privacy. It is because of the very mechanism with which these products function. The efficiency and effectiveness of these products depend early detection of the malware, fast analysis of its properties, rapid development of protection against it, inclusion of its signature in the virus database and finally early updation of the virus definitions by the end user. There is always a time lag between the instant a malware starts infecting computers, and the instant when an end user gets protection against it. Security vendors understand the fact and their position in this cat and mouse game. And that is the exact reason why there are lots of efforts and work going on to develop alternative ways to tackle the malware threats. The ever increasing availability of bandwidth is making its impression in the way we have been using the computers these days. Now we have netbooks, instead of notebooks, which do not require you to keep the bulky software and applications on your hard disks. Most of the data processing is done on web, thus requiring small computing capabilities in your hands. The same approach is being used in the new wave of Security Software. Vendors are busy developing Cloud Based Security Software and Antivirus application, which do not require to update your database everyday with tens of Mbs. They depend upon a community of interacting computers, which inform each other about the latest threats as soon as any of them encounters a malware threat. 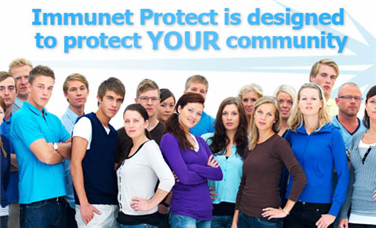 Immunet, a company launched by an ex-employee of Symantec, has just launched a cloud based security solution with the name Immunet Protect. Right now it is in the BEta Stage and absolutely free to download. Instead of a top-down, centralized and inefficient approach, Immunet uses a bottoms-up architecture by decentralizing much of the analysis and by moving these detections to the cloud. Your computer is always connected to the Immunet Cloud, providing you with real-time AntiVirus protection with a detection set that is always up to date. No more delays, no more updates, and no more bloat. This is the power of cloud computing. Imagine for a moment that you could leverage the computers of your friends, family and a worldwide global community to harness their collective security. Every time someone in this collective community encounters a threat everyone else in the community gains protection from that same threat in real time. 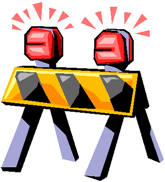 You no longer have to rely on the isolated security of your current AntiVirus vendor. You will be able to protect your friends and family while being better protected yourself.